This entry was posted in General News, Uncategorized on 04/08/2019 by htfc_admin. For pictures see photo album below. Use the NEXT button to scroll through the images. This entry was posted in Uncategorized on 09/27/2018 by htfc_admin. 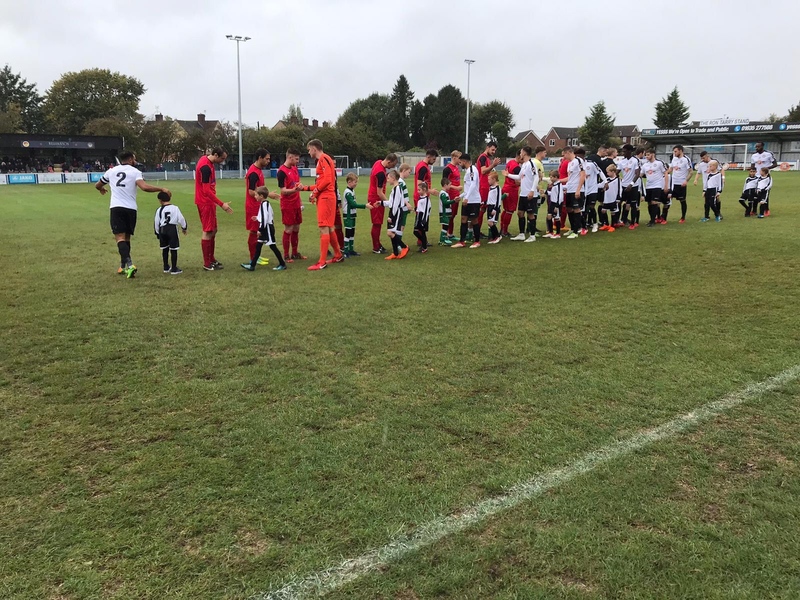 Hungerford Town Juniors FC are offering the opportunity of two days of football coaching in the Summer holidays to raise money for Club funds. The coaching is open to both boys and girls from ages 5 to 14 years old and the emphasis will be on learning new skills and techniques in a safe and fun environment. Attendees must be equipped with a packed lunch, water bottle and suitable clothing for the weather conditions. Shin pads must be worn. This entry was posted in Uncategorized on 08/01/2018 by htfc_admin. A newly updated version of the Club Handbook is now available. This entry was posted in Uncategorized on 07/02/2018 by htfc_admin. This entry was posted in Uncategorized on 05/04/2018 by htfc_admin. 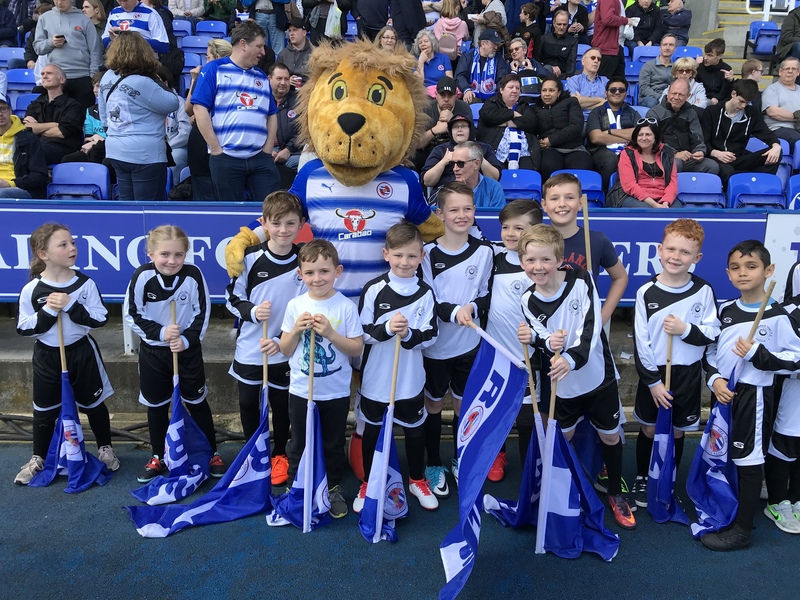 The U8’s represented Hungerford Town Juniors as mascots at Reading FC, meeting Kingsley Lion in the process! 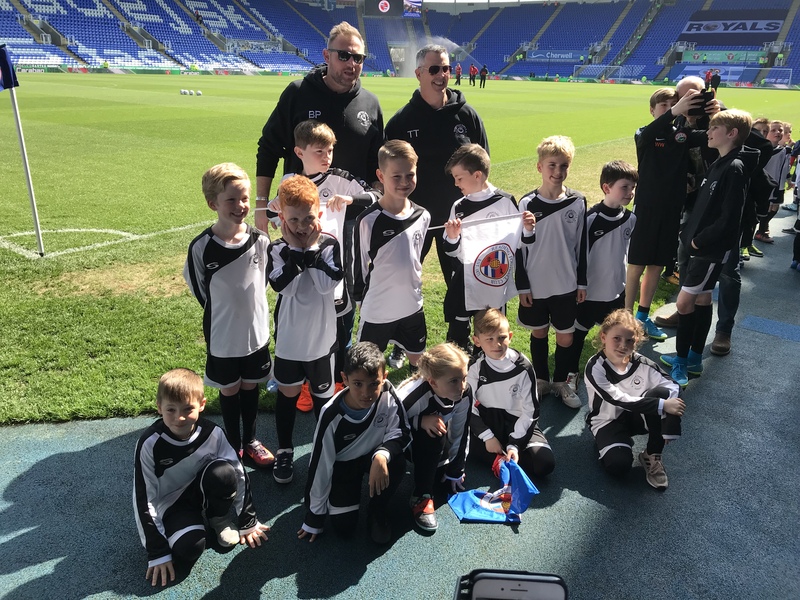 Hungerford Town Juniors FC are offering the opportunity of football coaching for 4 days during the Easter holidays to raise money for Club funds. The coaching is open to both boys and girls from ages 5 to 14 years old and the emphasis will be on learning new skills and techniques in a safe and fun environment. Attendees must be equipped with a packed lunch, water bottle and suitable clothing for the weather conditions. Shin pads must be worn. Please note that there is a maximum of 20 places per day. Bookings MUST be made in advance as we are unable to take bookings on the day. Places will not be secured until payment is received. This entry was posted in Uncategorized on 03/01/2018 by htfc_admin. 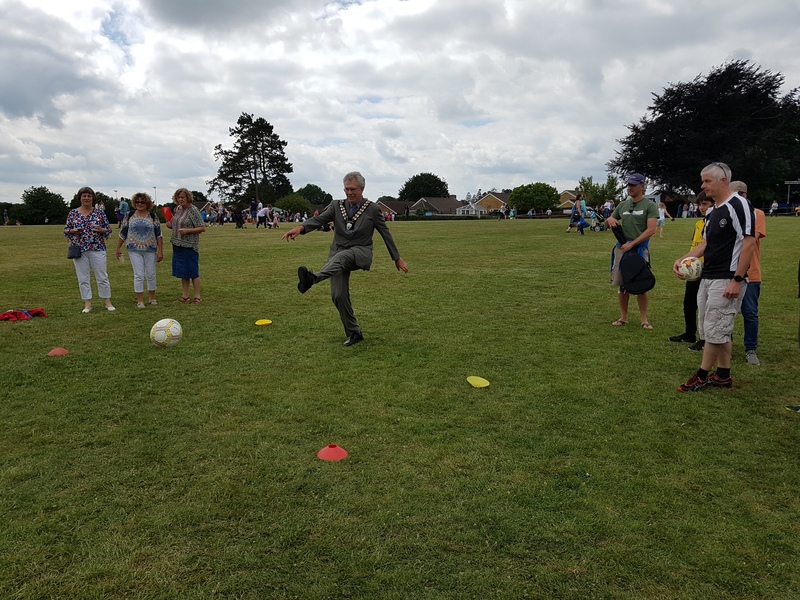 Hungerford Town mayor, Mr Keith Knight takes time out of his busy schedule to support the club and take some shots at the HTFCJ ‘Penalty shoot-out’ stand at the Hungerford Primary School fete on Saturday 1 July. North Wiltshire Youth Football League have published their rules for the upcoming season. This entry was posted in Uncategorized on 06/27/2017 by htfc_admin. U11s win at the County Ground! 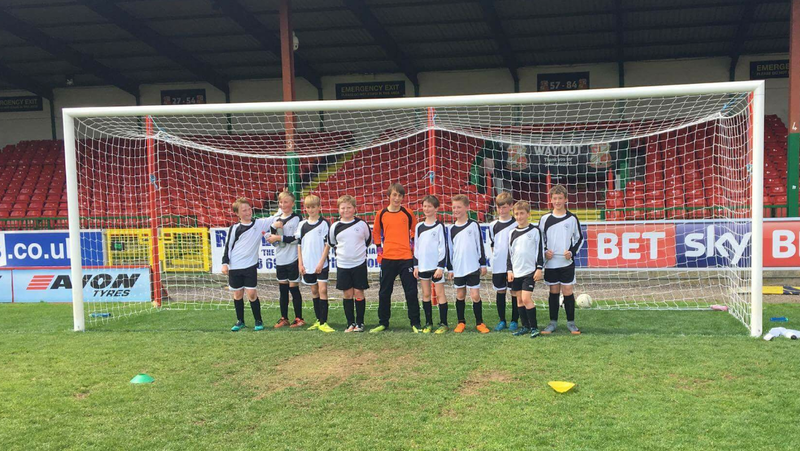 Last Sunday Hungerford Town U11s had the opportunity to play a match on the County Ground pitch – home of Swindon Town FC. 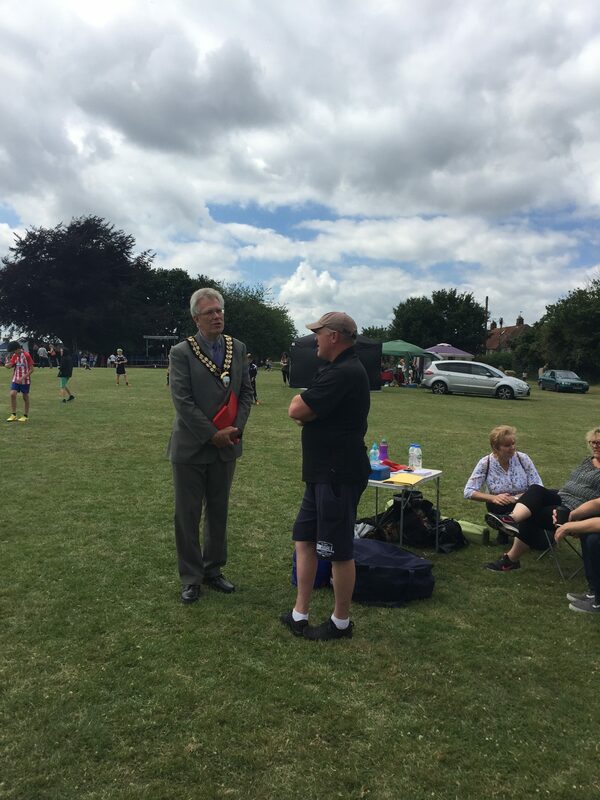 Chosen specifically by our opponents Wroughton to participate, the two teams put on a fantastic show, a hugely entertaining match with more twists, turns and drama than the usual Swindon Town match. Despite being two goals down early on, Hungerford rallied to level at 2-2, before going 4-2 down soon after. A third Hungerford goal reduced the deficit to one goal at half time. The second half saw us score twice within the first ten minutes – the second of these was an incredible strike from inside our own half, and we found ourselves in front for the first time at 5-4. Some heroic goalkeeping and at times frantic defending saw us hold the lead til the final whistle – a fantastic result! Well done to the players and thanks to Wroughton for inviting us! This entry was posted in Uncategorized on 05/30/2017 by htfc_admin.